Americana Welcome mailbox cover is a great way to show off your patriotism any time of year. 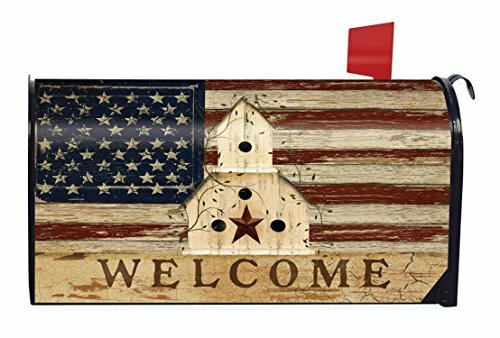 This primitive American flag design is used as the background for a little birdhouse and the 'WELCOME' text below it. Made to fit standard size steel mailboxes measuring 6.5" x 19". Printed on durable vinyl material with magnetic strips to easily attach to your mailbox.